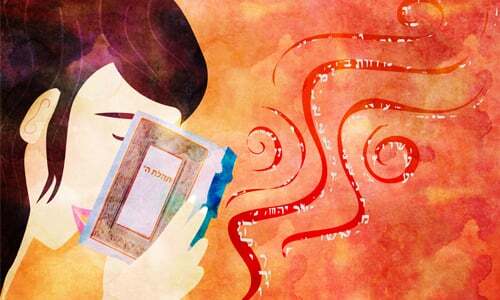 The great story of the Torah portion of Chayei Sarah is the transmission of G‑d’s promise to a new generation. Before this week’s portion, we have read how G‑d had blessed Abraham and promised, “I will make you a great a nation,” a nation through which all the families of the world would be blessed. But for that promise to be fulfilled, for it not all to end with the end of his days, Abraham had to see the blessings of his of life established in the next generation. And it was clear that a worthy partner would be as crucial for his son as it had been for him. When it came to making G‑d’s promise real, “Abraham was secondary to Sarah in prophecy.”1 It was due to her vision that His blessings were brought down into the world. G‑d instructed Abraham to put aside his own vision and accept her vision in how their household was to be run. What kind of identity was revealed in those things? The identity of a weightlifter may be found in the ability to lift weights; the identity of a mathematician, in an ability to deal with numbers; of a historian, in an ability to grasp the patterns of human events; of a financier, in the ability to make sense of wealth and money. What is the identity of the life of blessing? There is common thread among three things the Midrash mentions as identifiable with Sarah. It is beyond human ability to produce these things – they were each a result of a manifestation of G‑d’s presence in the world. Great blessings such as these do not come as the result of any particular ability we may have or lack – they come from a devotion of the whole of whoever we may be to G‑d and to the love of our fellow man and woman. In our homes, in our synagogues and in our communities, we too must establish the same kind of blessing. To do this, we must not insist on some specific kind of ability as a prerequisite. G‑d asks for no such thing – and blessings are G‑d’s alone to bestow. Instead, we are asked to see how each person is uniquely able to devote the whole of him/herself to G‑d, and in that devotion, find blessing. Our tent is meant to be the tent of blessing, in which we welcome and encourage each person to dedicate each ability G‑d has given. Sarah is the mother of all of us. We all belong equally in her tent. Together as one, the blessings she lived for become the very fabric of our lives, bringing blessing to all the families of the world. Tanchuma, Shemot 1; Rashi on Gen. 21:12. Sefer Hasichot 5748, Chayei Sarah, p. 87. Bereshit Rabba 60:16; Rashi on Genesis 24:67. Rabbi Shmuel Klatzkin, a noted scholar, writer and educator, lives in Dayton, Ohio with Naomi, his wife of 29 years. They are proud parents of two grown children. This article was produced in partnership by the Ruderman Chabad Inclusion Initiative (RCII) and the Rohr Jewish Learning Institute (JLI).